I'm eagerly awaiting to see which Trumpie(s) is going to be indicted by the Robert S. Mueller III-led investigation into Russia’s meddling into the 2016 U.S. presidential election. Monday, could be the day that one of the shoes - and possibly more - of the centipede, aka Trump campaign (per Sen. McCain) are going to drop. There’s a list of Trump's top 2016 campaign aides, current and former White House aides and longtime confidants who could be rounded up by Mueller’s team early next week. A desperate Trump has been trying all last week to divert the investigation with recent demands to investigate Hillary Clinton's emails, and allegedly corrupt uranium sale to Russia. It might be Tuesday, or even later, before people start getting arrested. A report by Roll Call suggests it could be as early as Monday morning. 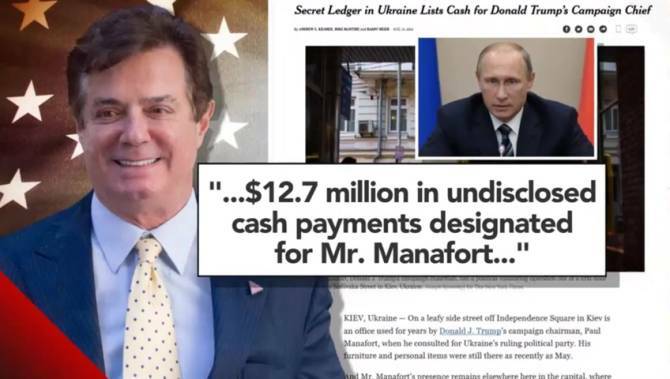 I'm just guessing here, but I think Paul Manafort and Michael Flynn will be wearing handcuffs next week. It's entirely possible however, they could be joined by Carter Page, Jared Kushner, and Donald Trump Jr. I'll take one more guess about the ramifications of these arrests; Trump is going to call them fake news.